Asylum Research and Oak Ridge National Laboratory (ORNL) have released a detailed 24-page monograph explaining the theory, functionality and applications of Piezoresponse Force Microscopy (PFM). Electromechanical coupling is one of the fundamental natural mechanisms underlying the function of many inorganic and macromolecular materials and is ubiquitous in biological systems. 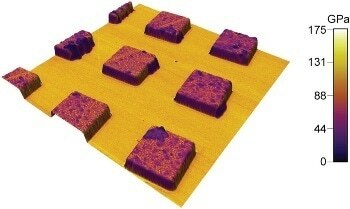 The emergence of ferroelectric and multiferroic non-volatile memories and data storage devices has stimulated studies of electromechanically-active materials at the nanoscale, and PFM has emerged as the pre-eminent tool for nanoscale imaging, spectroscopy, and manipulation of these materials. In collaboration with ORNL, Asylum Research has advanced the technology of PFM, enabling very high sensitivity, high bias, and crosstalk-free measurements of piezoelectrics, ferroelectrics, multiferroics, and biological systems. 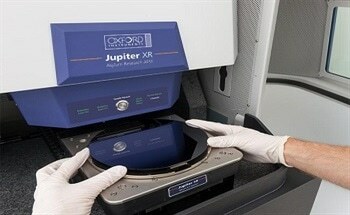 PFM is implemented on Asylum's family of AFMs, including the MFP-3D™ series and the new Cypher™ AFM. The system features unique spectroscopic imaging modes including switching spectroscopy PFM and band excitation PFM. "Electromechanics and PFM are growing areas of research with studies ranging from data storage devices to MEMS to electromotor proteins and electrophysiology. This new monograph explains the use of special high voltage accessories and advanced imaging modes to measure piezoresponse, even for the weakest piezoelectric materials," said Dr. Jason Cleveland, CEO and co-founder of Asylum Research. "We see great potential for advanced measurements in many different disciplines and it is our hope and expectation that this new monograph on the subject will stimulate interest in the use of PFM." With PFM, a bias is applied to the AFM tip using proprietary electronics, a high voltage cantilever, and sample holder. The vertical and lateral response amplitude measures the local electromechanical activity of the surface, and the phase of the response yields information on the polarization direction. On Asylum AFMs, high probing voltages, up to +220 volts, can characterize even very weak piezo materials. Dual frequency resonance tracking and band excitation, effectively use resonance enhancement in PFM to provide new information on local response and energy dissipation which cannot be obtained by standard AFM scanning modes. These techniques allow independent measurement of amplitude, resonant frequency, and Q-factor of the cantilever and overcome limitations of traditional sinusoidal cantilever excitation. The use of a large frequency range (1kHz - 2MHz) allows imaging both at the static condition, and effective use of several cantilever resonances as well as use of the inertial stiffening of the cantilever. Polarization dynamics can also be studied with spectroscopy modes that include single-point hysteresis loop measurements and switching spectroscopy mapping. These modes provide local measure of such parameters as coercive and nucleation biases, imprint, remanent response, and work of switching (area within the hysteresis loop), for correlation with local microstructure. Combined with high-voltage, these allow local polarization switching to be probed even in high-coercivity materials such as electro-optical single crystals. Pioneering research on PFM is currently being conducted at Oak Ridge National Laboratory at the Materials Science and Technology Division and Center for Nanophase Materials Sciences, in collaboration with Asylum Research. "The recent work that we have done in collaboration with Asylum is already producing ground-breaking results," said Dr. Kalinin, Staff Scientist at ORNL. "The plethora of new and exciting electromechanical phenomena emerging on the nanoscale - from electric field induced phase transitions in ferroelectrics to electronic flexoelectricity and molecular electromotors - has been belied by the lack of capability to study them quantitatively and reproducibly. PFM is the technique that enables these studies. Eventually, the development of nanotechnology will require the capability not only to "think", but to "act" on the nanoscale. PFM will pave the way for the understanding of electromechanical coupling mechanisms on the nanometer scale and development of the molecular electromechanical systems. "